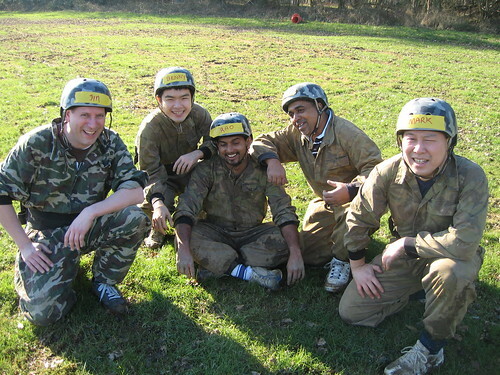 Today was fun to get out of the office for a day to attend a team building event. I was invited to join my new team last week. 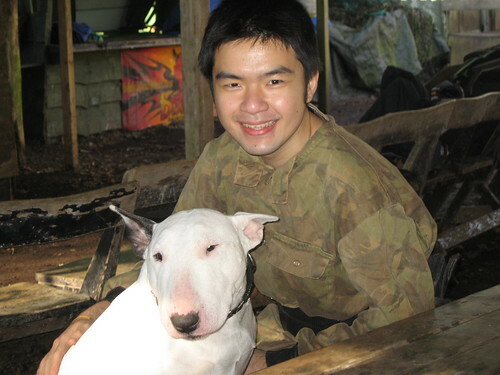 I woke up at 5.45 a.m. to get the 6.30 train to Horsely whereby a colleague Jim, picked me up with a hired Van. It is also the first time I have ventured out of Southampton ever since I arrived this year. A heap of documentation was sent to me but I never bothered reading them carefully but in terms of expectations, I knew we were supposed to wear clothes that we no longer want. In my mind, I was saying how dirty could we get and only pack minimal change. 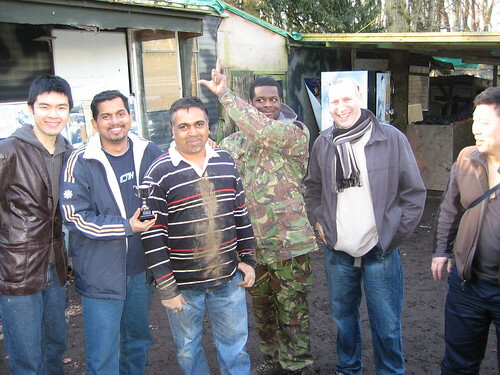 After everyone arrived, we took a drive to Surrey Paintball Center where our ordeal begins. I was told that I did not have proper shoes and luckily they found some for me. We put on an army like camouflage jumper on and proceeded to our first challenge after being split into team yellow and blue. 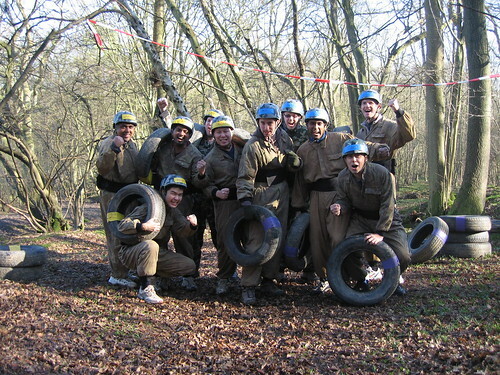 We had to go through a course in the cold and muddy tracks while carrying a tire each. It looks really easy but I slip several times trying to negotiate the slopes. 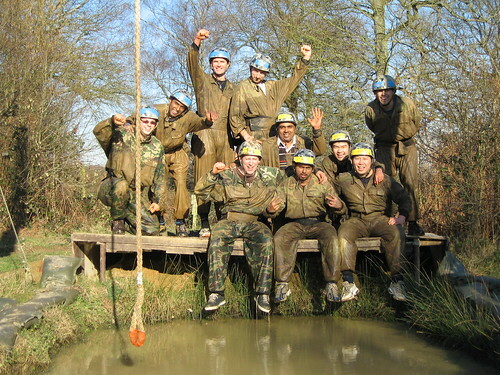 After the assault course, we continued the day with tug of war, shooting range and javelin throw. Soon it was lunch and we were told to remove our jeans underneath our jumper as we were going to get wet up to the waist. I thought to myself that they were mad and a bit hesitant because of the cold. When we were next to the river, something took over and everyone decided to go ahead and do the full course. 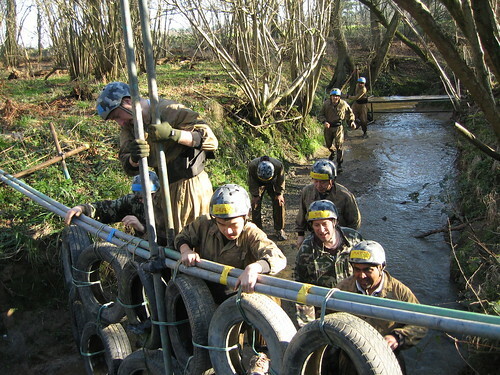 We started running through the ice cold river and going through obstacles. 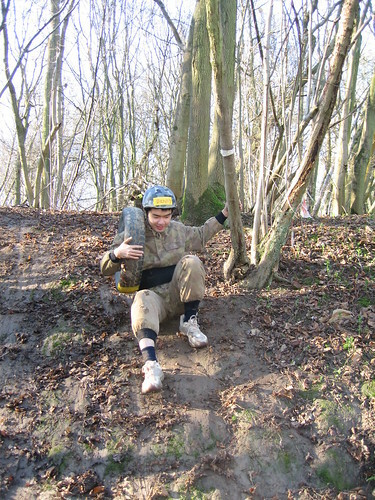 It was a combination of a commando like training circuit. The muddy surface made it harder. 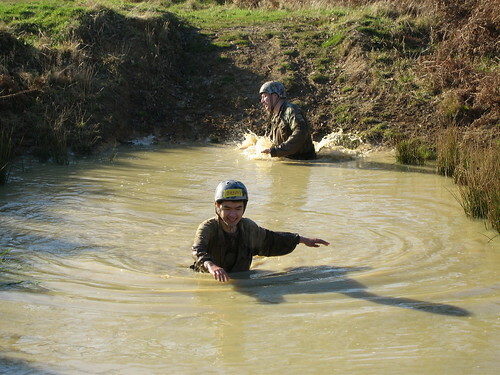 I jump into ice cold freezing water, crawl under barb wires (I was told they were rubber look a likes after the event), squeeze my way through barrels and slide down muddy slopes. Although our team did not win, I walked away with this amazing experience. Ice Cold Water Waist Deep!! I was exhausted at the end of the day but spent some time in the chill out room of Horsley Court which is BATÃ¢â‚¬â„¢s International Training Center with lodging facilities.